How do you inspire young readers to tackle new challenges once they’ve mastered the basics? Just try Colour Young Puffin! These deliciously comical and fast-paced books underline Puffin’s great reputation for making some of the best first readers out there. The fresh, funny stories are really accessible and easy to read, with vibrant pictures helping children to follow the zany plots. 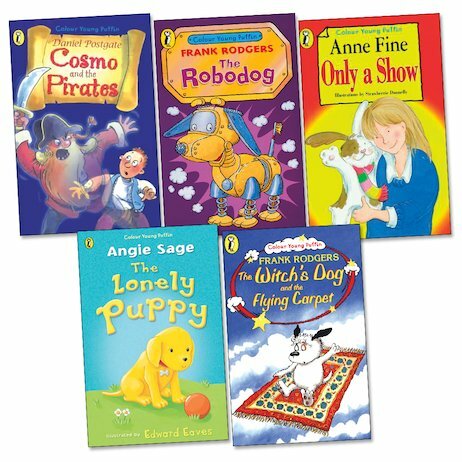 From Chip the Robodog to the Witch’s Dog, they’re also stuffed to the hilt with fabulous characters which children will adore.